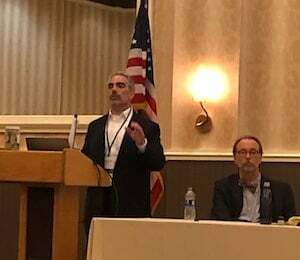 After taking in all the great information from the first day, attendees at the NERC Spring Conference re-convened the second day prepared to hear more great presentations from speakers and panelists. 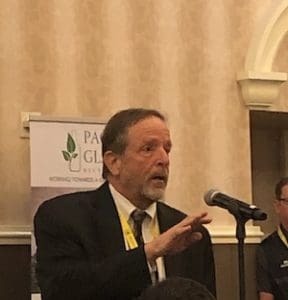 After an introduction from NERC’s Executive Director, Lynn Rubenstein, sessions delved into a focus on PCR, especially discussing how the plastics and glass industries are addressing it as well as the strategies that have impacted the demand. 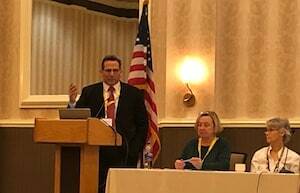 There was also a great quick-session on the businesses that are driving the U.S. recycling industry, with each one of them talking about what they specialize, their key accomplishments and how they are here to help. The running theme once again touched on how to change the mindset of the consumer as the hardest process to the whole challenge that is going on. There are markets available and that the infrastructure is also an important element for change. During the speaker sessions, attendees were encouraged to come up to the microphone and ask questions of the speakers or panelist as to their own experiences, making for a lively discussion. At the end of the second day, the event wrapped up with an open forum discussion, where everyone had a chance to talk with others and network about their particular challenges and what kind of solutions they were looking for as well as hearing what others may have done in the same situation. In all, NERC puts on a great conference and this one was no different. We hope to see everyone again the Fall for another informative event!